Dimension: As per Customer requirement. Clients can avail from us quality Industrial Fabrications. 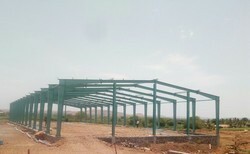 We are providing best quality services for all of our customers as per their requirements with good quality materials. The customized Industrial Fabrications offered by us are qualitative, durable, reliable, resistant to corrosion and chemicals, high on performance and precisely engineered. 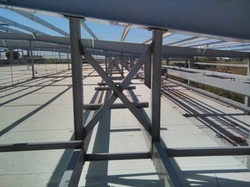 The fabrication services for screw conveyors are provided by us for paper and pulp industries. These multi-purpose conveyors are used for transferring medium and light loads to various work-stations. Backed by well developed unit, we successfully meets the specific requirements of client. We provide a wide range of Industrial and Commercial Fabrication which includes trolleys and job boxes. Following the specific requirements of the clients we offer various size, shape and raw materials. We also offer bars and pipes. We use magnetic steel. Our fabricated products for industrial and commercial applications are used in automobile industry. We offer High Profile Fabrication & Machining Job Work for Industrial Engineering Application to our customers. Blessed with highly advance technology and machines, we offer these services as per the specific requirements and demands of our valuable clients. We are offering Industrial Fabrication to our clients.